Finding second hand furniture is a rewarding way to run small business successfully in low cost investment. Small businesses save a lot of money by choosing second hand office furniture that can be used in any other important business matters for generating revenue. Furniture is an accessory that makes your home and office comfortable and attractive. It is one of the main parts of the home as well as office for furnishing them that increase beauty of homes and offices. Purchasing brand new furniture is an expensive option and all business owners cannot afford it. In order to save money, many small businesses prefer to buy second hand office furniture that is a good alternative of new furniture in less cost as little efforts and tips gives it look just like new. Check furniture before money exchanges hands. Open drawers of cabinets, sit on chairs and lean on tables to check whether they are in good condition or not. Checking second hand office furniture products can help in finding quality furniture. If you find an item damaged and still in satisfactory shape, you can get it at low cost. Many damaged items can be repaired with a minor fixing therefore make sure that someone can fix it appropriately. Moreover, such products are available at very low cost. Furniture that has been in someone else’s home may have odors of past owners. Some odors may air out but some others like pet and smoking odors may not air out. Use your senses to check all these things before making second hand office furniture to be part of your office or home. Most of the Second hand office furniture has quality structural components and may just need reupholstering. Similar to renovating a home, furniture look can be improved with reupholstering. Inner construction of couches varies that is responsible for its durability. Therefore, make sure that you choose a couch with a good support system. If you are looking for durable furniture, solid wood furniture is the right option. Laminate furniture is more prone to daily wear and tear than solid wood. Therefore, always prefer to purchase furniture of hard wood in order to make it long lasting. Oak and maple are hardwoods that make durable and strong furniture. If you are looking for sofas, use hardwood sofas that could withstand weight and pressure over a long period of time. If you are more focused on beautifying your home or office, lamina furniture is right choice. New sheets are available for adhering at the furniture surface to give a new look to use furniture products. You can choose lamina furniture according to the type of business requirement. If you are interested in purchasing metal furniture for beautifying your office or home, you can make it just as new by removing rust and repainting it with a durable powder coat for covering metal furniture. New coat will make it just like new and you can enjoy second hand office furniture in very low price by just a little effort. Restaurant and hotel business persons often use metal chairs and tables at customers sitting area. Many homeowners prefer metal furniture because of its light weight and stylish look. Some retailers offer furniture for rent. Those retailers also sell used products to replace them with new variety. Getting second hand office furniture from such retailers is a good option as such furniture products are usually used with care. Many of these business persons want to get rid of their inventory to add new products. If you find products that are gently used and are in good working condition, getting them is a better choice. Hotels often require furniture as they keep on changing furniture items to keep on attracting customers. They can contact with buy and sell second hand goods source to keep on changing their hotel furniture with time. Dealers of second hand furniture keep them updated if they want to bring innovation in their hotel furniture. Sometimes you find a very good quality used product with some imperfection. Little ideas and suggestions can make those second hand office furniture products useful for you. A wide variety of wall papers are available that can change look of particular product. Add wallpaper and then seal the surface with a sealer to prevent paper from lifting. When shopping for second hand office furniture, keep in mind the space available to you and dimensions of your office. Keep in mind all these things before purchasing second hand office furniture as most second hand sources will not let you return your furniture. Choose a reputable source to purchase used products. A reputable source receives furniture from furniture stores, big companies and many other big sources as companies and other sources keep on changing their furniture after a particular time period. In this way, reputable sources have quick change in their inventory that opens more opportunities to get variety of products. There are many sources to buy and sell second hand goods. It is important to choose a reputable source to buy and sell second hand goods. Get recommendations from friends or relatives that have purchased second hand office furniture to identify a reputable source. We are a reputable source of buy and sell second hand goods in Malaysia. We buy and sell used furniture, electrical equipments, kitchen equipments and a lot more second hand products. 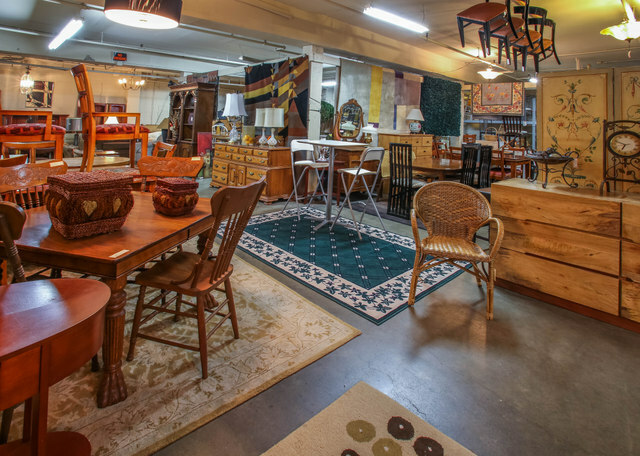 If you are looking for a reliable and reputable source to buy second hand furniture, contact us today.